I still need to give Mansel a try. Hope you have a good week! Lovely idea Tina, look forward to your joining us. The books look lovely. I am especially interested in A Family Recipe! You had some good reading this past week. The fires are crazy and even we are getting smoke down here in the lower east bay. My husband had to come home early today b/c he works in the valley in the upper east bay and the air quality level was seriously bad. Wow Stefanie, I do hope they get control of those fires soon – so huge and devastating. For people in the US, last week felt like it was a billion years long. I’m so tired! Those fires in California are crazy. I hope they get under control soon. Have a great week! The fires are so tragic. It’s just been heartbreaking to watch. I like the look of The Girl in Time Square and I have the Julia Quinn on my TBR. Have a great week! Sounds like a good reading week for you – such variety! Nice that you are enjoying re-reading some old favorites. I don’t do that as often as I should. 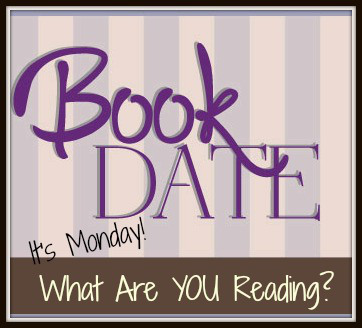 Hope you enjoy your books this week, too – thanks for hosting the link-up! A Family Recipe looks really cute! You got in a lot of reading! I’m not much of a re-reader because I have so many new ones that I want to get to! However, there are some on my list that I’d like to read again, especially classics that I read in high school that maybe didn’t appreciate much at that age! Those ones that you’ve featured are all new to me, enjoy! Hi! I love to reread books. And I love Paulina Simons but haven’t gotten around to reading Girl in Times Square yet. 🤷🏻‍♀️ Have a great week! These look great. Would love to read A Family Recipe. Have a great week. Last week was a super busy week any way you look at it! I love the cover of The One You Really Want. enjoyyour reading week! I’d read The Girl In Times Square, and I’d probably try the Jill Mansell book too, even though I didn’t care for the last book I read of hers. Nice reading week for you!! A FAMILY RECIPE has such a cute cover…I am glad it was an enjoyable read. I’ll have to check it out. Have a great week. I can’t believe it is another Monday and the second Monday in November. Yikes on this time flying by. One of these days I have to read Nalini Singh. Hope you have a good week with Happy Reading! It has been quite a momentous week! The fires in California are of course terrible, and the elections over here… yikes what a week! 🙂 And the Armistice celebration also. Your urban fantasy book looks fun! I’m trying to read more of that genre. I enjoyed that series by Susan Howatch too. Loved her early work as well. The Julia Quinn book is on the TBR list. Have a great week. I’ve heard great things about Jill Mansell but have yet to read her books. Enjoy your new book and your re-read. Jill Mansell’s books are light reads with great characters and fun. All of your books look good, but The Girl in Times Square especially has my interest. Have a great week! I am now eager to read my copy of The Girl in Times Square. You have several tempting books to add to my list. Thanks for sharing. I do believe you’d enjoy it Laurel-Rain.